Sunday, August 27 from 10:00 a.m. until 6:00 p.m.
Wuhao New York will sell tenugui, the Japanese traditional cloth, and Kokeshi 375 and Saki’s Japanese Lesson will sell Japanese clothing. Have your face painted by Japanese calligraphy artist Taisan Tanaka. A staple of the Japanese festival, the Bon Dance will be performed starting a 2:00 p.m. Everyone is invited to participate! There will be a yukata photo contest between 10:00 a.m. and 2:00 p.m. Anyone attending the event wearing yukata can enter the photo contest, limited to the first 50 entries. A Fujifilm representative will take two Instant photos, one of which will be given to the entrant as a souvenir, and the other will be posted onto the contest board. Attendees will vote on the contest winners. 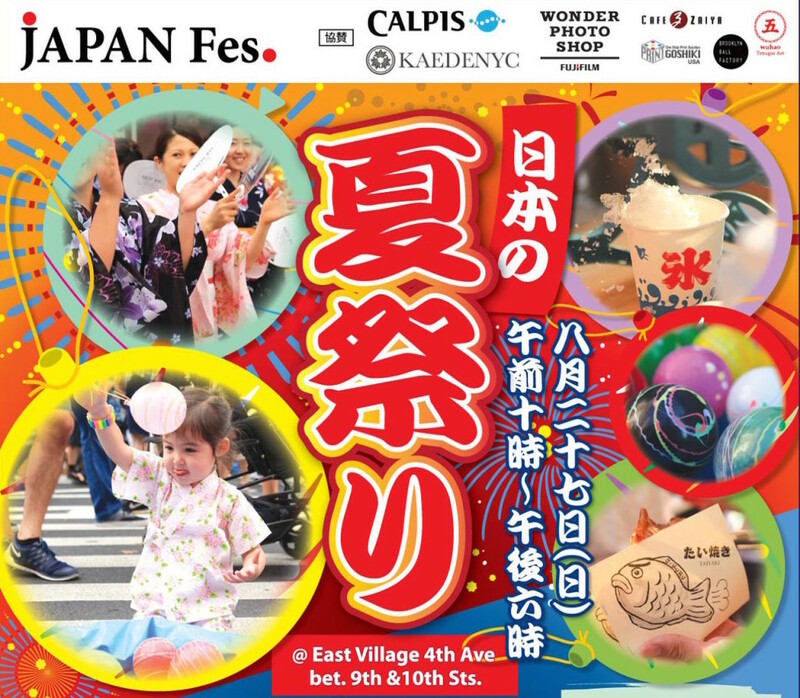 JAPANFes organizers will collect ballots from 2:00 p.m. until 5:00 p.m., with voters indicating their choices for first, second, and third place on each ballot. 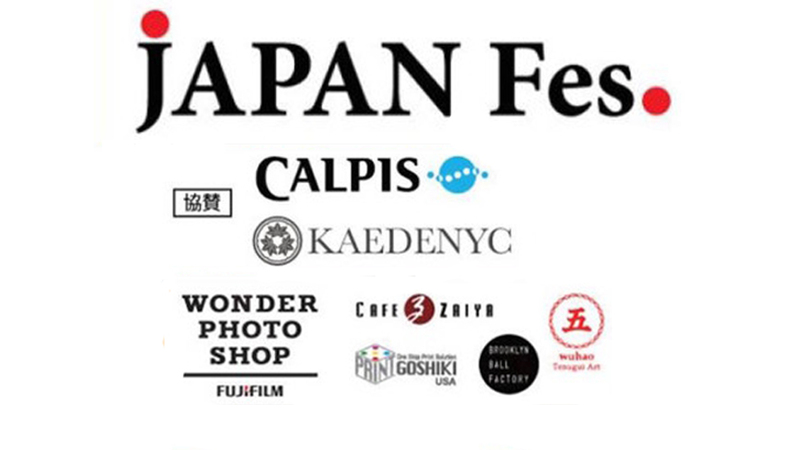 The three participants with the most votes will be announced by 6:00 p.m.
For more information, please visit JAPANFes’s website.